Imagine the person you're speaking to. If you're supposed to be speaking to the audience, imagine who they are--friends? enemies? the doorman? Imagine where you are and the things that are around you. Create a set by using real objects that are handy--chairs, benches, fake tree, etc. You can use real objects for props, too--book, wallet, football, etc. 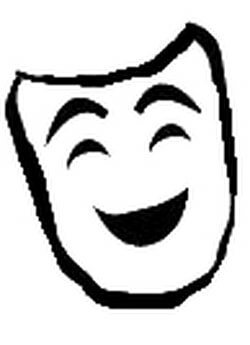 Be expressive--get mad or happy or sad or just have some attitude as you perform your monologue. Movement & Gestures--use them. Don't just stand still while doing a monologue. If there are stage directions—in parenthesis—in the monologue below, use them or come up with your own. They're just suggestions. If a monologue has ellipses (three dots in a row), act as if you’re listening to someone else responding or speaking to you. But those ellipses might also just mean there's a slight pause. Read through the monologue and see if you're listening to someone or just pausing for effect. ​Dad and Mom won’t buy us video games. They never let us stay up late to play computer games except on the weekend of our birthday. Instead, we have to do things like clean the house, even though I bet they could afford a maid. They insist that we get good grades and if we don’t, they blame us, not the teacher. I would rather pull weeds in the garden than the extra homework our parents make us do when we get bad grades. When my button popped off, Mom handed me needle and thread and said, “Go for it. I believe in you.” I rolled my eyes when she wasn’t looking because I didn’t to weed the garden again that day. When we get sick and stay home from school, mom makes sure we stay in bed. No watching tv, no computer games, no nothing but sleep. I’ve decided to never get sick. My dad sometimes brings home a dessert after work and one day he brought home a German chocolate cake! Sadly, my brother—even though he’s little—didn’t get any because he refused to eat all his vegetables and threw the peas across the room. My sister and I ate our peas up as fast as we could. We got cake. We thought our little brother was so cute when he came into the kitchen in his pajamas and said, “Please, may I have some peas and cake?” But, no. My strict parents told him “maybe next time.” (shaking head; whining) All of the kids in my family are deprived of the good things in life.